Over the past decade, women experiencing infertility have been increasingly turning to acupuncture in addition to IVF. Many people enjoy the way that acupuncture can contribute to a relaxed sense of physical, mental, and emotional well-being. Acupuncture works by helping the body to re-establish normal, natural rhythms. We offer a wide range of natural health services and can provide these in a way that is fully integrated, designed, and fine-tuned for your maximum benefit and value. Any or all of our different services can be provided at each and every session, often at no additional cost. Acupuncture has helped many women with unexplained infertility to conceive. Some of these women previously had significant long term symptoms (such as an absent menstrual cycle for a period of one year). Depending on the cause of infertility, these treatment options may be appropriate as a primary treatment strategy or as a secondary, supportive strategy. Over the past 10 years, some published studies have suggested that acupuncture can help to enhance the success rates of IVF. One recent study showed that acupuncture improved the effectiveness of IVF only in cases where the patient's fertility clinic had a success rate of lower than around 35% per cycle. However, the authors suggested that even in those cases, acupuncture is still helpful for relieving some of the stress and hormone-related symptoms associated with IVF treatments. In our practice we have also seen success with patients who are using acupuncture and other natural options (such as yoga, herbal cleanses, etc.) as the main support. 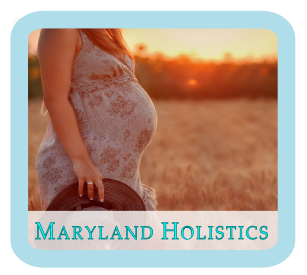 Acupuncture is a very appropriate treatment when infertility seems to be related to stress and fatigue and is well worth considering when lab tests and diagnostic imaging do not reveal a specific cause. In the case of unexplained infertility, we have observed that acupuncture is effective as frequently as IVF. Overexercise and being overweight can also sometimes contribute to infertility, and these causes can be addressed in a variety of ways. While acupuncture can help to balance your body on an energetic level, nutritional approaches can help your body to regain optimal health by addressing deficiencies or imbalances on a substance level. We provide nutritional recommendations to help with many specific conditions -- for example, in the areas of fertility, women's health, mental and emotional health, menopause, headaches, respiratory health, detoxification, and immune health. In addition to these areas, our supplement options can help you experience better rest, stronger energy reserves, relaxation, and an overall improved mood and mental state. As in any form of medicine, an acupuncturist will gain insight into your condition through speaking with you and asking questions about your health history. In our practice, it is common for the practitioner, Eric Windsor, M.Ac., L.Ac., to speak with each patient for 30 minutes on the first session before providing any acupuncture treatment, and most appointments are around an hour. Our patients often value these relaxed conversations about wellness and life concerns. Our goal is to compassionately and effectively support your physical and emotional health in a holistic way. The solutions we provide are 100% free of pharmaceuticals and generally achieve results without any side effects. With or without IVF, acupuncture can support you to feel your best, and help to maximize your chance for a successful pregnancy.